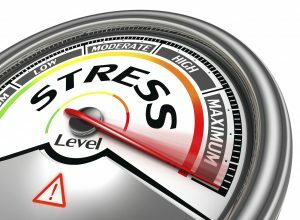 Why do some people get stressed and others do not? I recently went to a talk about stress. The Lecturer, Dr. Peter Reznik, mentioned that expectations that are not met cause stress. He said do your effort but if your expectations are not met don’t get flustered. This idea is found in Torah. It is not your responsiblity to complete the work (ie, learn the Entire Torah), but you are not free to desist from it. G.d rewards us for our efforts. Many a time the result is not in our hands. Worse than failure, is not trying. The deadline. The pressure of being responsible for your family’s food on the table. The pressure of nagging spouses all can increase stress. I don’t need this pressure on. so kick it off. It’s in your control to get stressed or not. You choose to be cool. Time is something that has no real existance. The past is no longer, and the future hasn’t arrived and the present is now that ties the past and future. or One should not worry because The past has past and the future is unknown and the present passes in the blink of an eye. Even if a sword is on a person’s neck there is always hope. Belief in a G.d that only does good and what is in our best interests also makes it easier to cope with the daily aggravations we encounter. Beleif that there will be a positive outcome can lead to a positive outcome, and the contrary. That is the power of positive thinking. One who has such strong belief in G.d can nullify any force. This is the power of Believing that ‘Ein Od Milevado” – There is only Hashe-m / G-d. This entry was posted in Self-Help, Self-Improvement by admin. Bookmark the permalink.